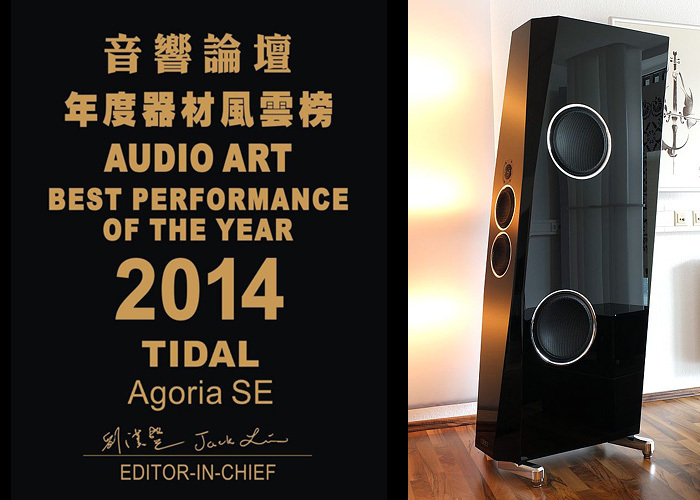 AUDIO ART Magazine rewarded the TIDAL Agoria with this award. 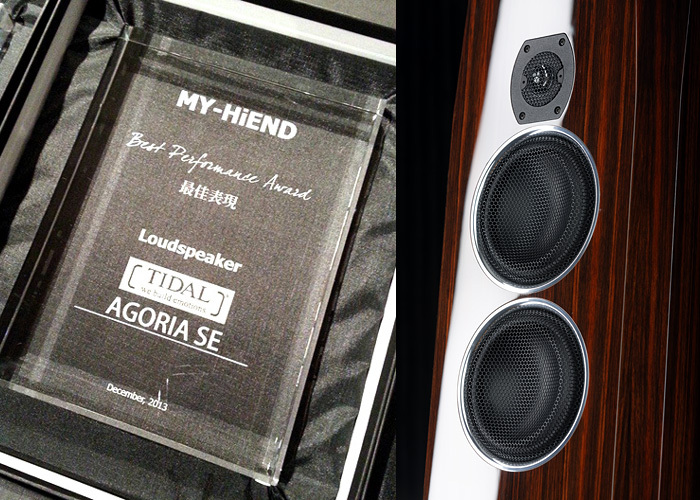 MY-HIEND has rewarded the TIDAL Agoria with a BEST PERFORMANCE AWARD 2013. TIDAL had its premiere in Vietnam. Given the easy load and efficiency of the Agoria, this setup was a nice and praised match: TIDAL and the tube amps of Audionote / Kondo. 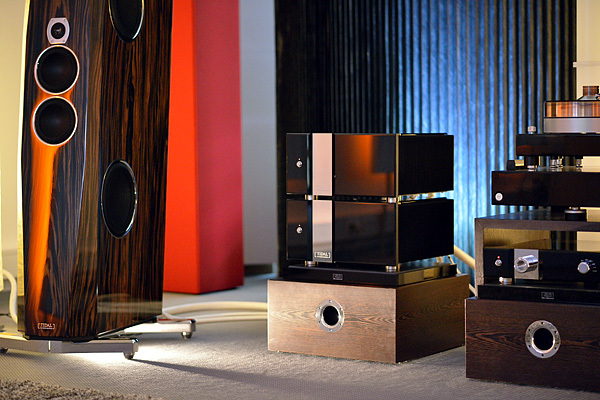 "Speaking of superb two-ways, …….TIDAL’s gorgeous two-way Piano Diacera floorstander…. : The sound was truly gorgeous, with Saint-Saëns' Danse Macabre simply phenomenal through the TIDALs and the Aurender/dCS source. This was another Best Sound of Show contender: extremely sweet string tone, superb depth and resolution, and fantastic bass for a two-way." "...TIDAL Piano Diacera made a sound that pulled the listener literally into the music. The sound was super, one of the best of the whole show. Maybe Germany got the gold, silver and bronze medal at this show". “The sound that’s capable of coming out of this speaker has the most detail and the most delicacy and air that I’ve heard coming out of a loudspeaker. Ever. Of course, I’ve gotten to spend quality time with this particular pair in the past (nudge nudge, wink wink, say no more!). And, in the right room and with the right … well … everything … the Sunray can do a dance like nothing I’m familiar with. It’s not just breathtaking, it’s astounding. TIDAL was exhibit in the exclusive penthouse area within three big rooms. Voted from many as the best rooms at the whole show we were playing as world premiere the 1.3 tons heavy new Sunray G2 fully active with 6 x Impulse Monobloc amplifiers, TIDAL Presencio and LPX. Also we showed a system made out of the TIDAL Agoria, Impulse LPX and Preos-D.
Much more details and the official launch will be end of the year. 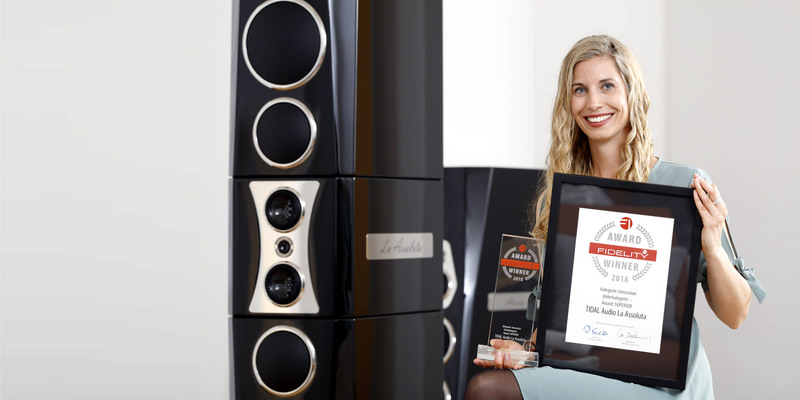 "Germany’s TIDAL was showing its gorgeous Agoria SE mulitway floorstander with black ceramic drivers and diamond tweeter, as well as debuting its own TIDAL electronics alongside a Hartvig table. Though strings and winds were sugar-sweet at moderate levels on Tacet’s great recording of Ravel’s La valse, when the SPLs went up (and they do go up on this LP), the sound became a bit piercing. Also, bass was not as deep as it should have been on this spectacular disc. Seeing that I just heard a much more demure TIDAL speaker sound fabulous in Chicago, I concluded that something was wrong and decided to return later in the show. I’m glad I did, because some days later I found the speakers sounding very lithe and lively on vinyl — superb on Keb Mo’s voice with phenomenal guitar transients and color. The Agoria also now managed perhaps the best reproduction I heard of Rapsodie espagnole from The Reiner Sound, reproducing all its sweetness as well as its power and phenomenal inner detail. Best of Show: ...TIDAL Agoria SE / TIDAL Electronics system (on Day Three)." 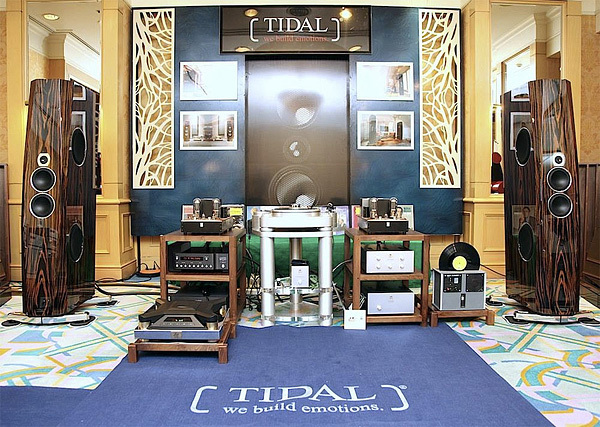 "The demonstration of the ultra high end specialist TIDAL was one of my highlights of the show, the overall performance was maybe even "Best sound of show". 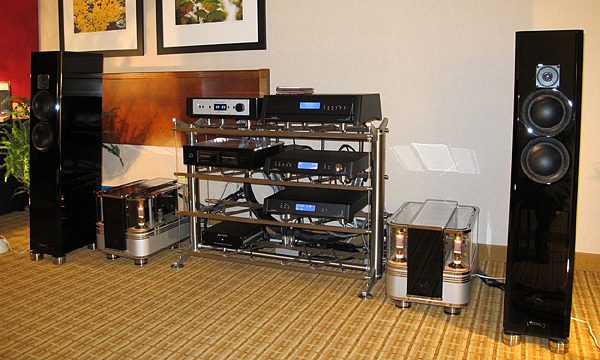 Highend at this level one can almost never experience at a dealers place. What is also given to the fact that TIDAL is playing at the super territory in terms of the price. 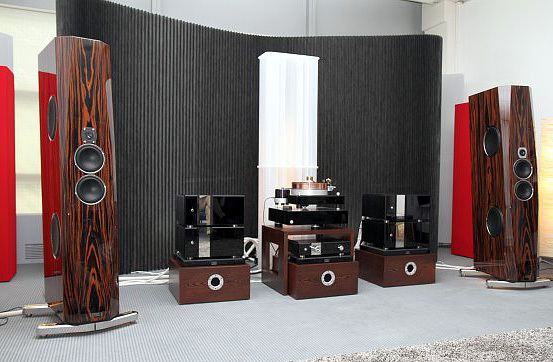 The overall price of this system probably was over 300.000,- €. But someone who is spending so much money also gets delivered a lot in this particular case. "TIDAL for e.g. showed how one does present big speakers. With its 1,70 meter height the Agoria looked with its beautiful proportions extremely elegant. 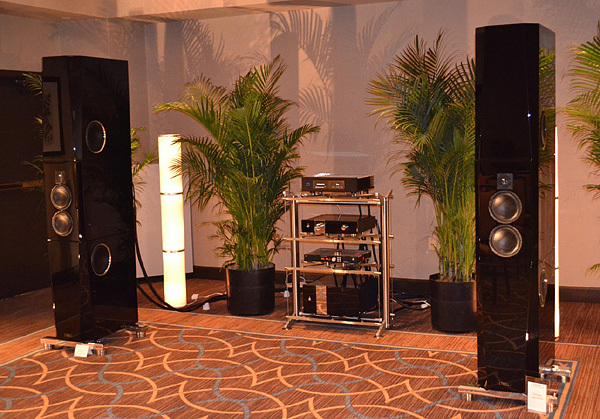 And this is also how the whole system sounded like: while other exhibitors tried to catch attention with fat boomy bass, the TIDAL Agoria convinced with subtle sophistication. It sounded extremely neutral, precise, dynamically very agile and exact, which was compared to the other show demo's a real blessing. And the sheer resolution capabilities of it may be even unique." 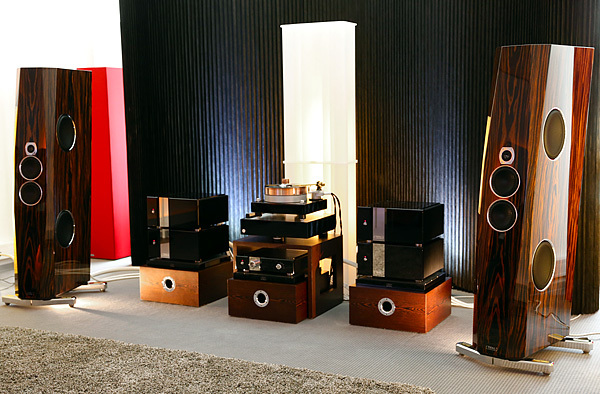 "....here the gorgeous two-and-a-half-way Piano Diaceras, with their black Accuton ceramic mid/woofs and black Accuton diamond tweeter, were downright breathtaking - incredibly high in resolution, incredibly subtle and powerful in dynamics (sensational on a cello and piano sonata), incredibly gorgeous in tone color, and very realistic. Though their three rivals were also outstanding (as were the Big Boys on the bottom floors), the TIDALs simply won my heart - and my Best of Show award." 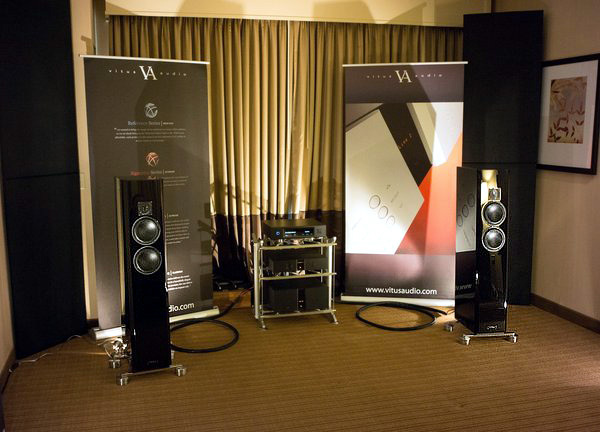 "....I’d have to say that the show’s best sound was the room of retailer The Voice That Is. 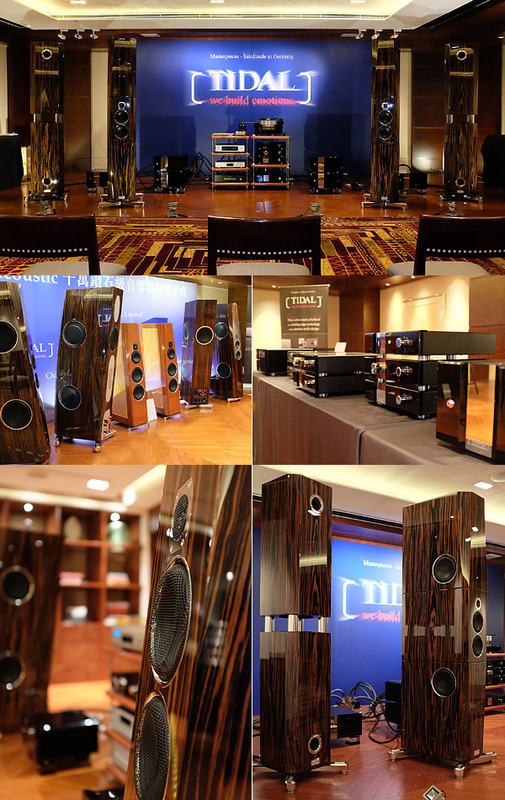 It featured the TIDAL Piano Diacera loudspeakers... The sound was texturally luscious yet resolved, expansive, and dynamic. Although not as “big” sounding as some of the mega systems in the large rooms, this system was extremely involving."